It's the 22nd annual run for this fine tunes, fine times to-do. Sitting outside with sunshine, pine-y air, and excellent tunes is a two-decade-plus tradition for Jazz in the Pines. 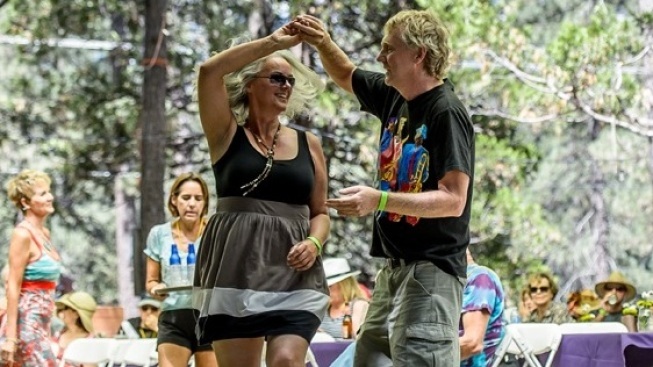 Swing 'round in Idyllwild on Saturday, Aug. 15 and Sunday, Aug. 16. SMOOTH SOUNDTRACK: There's almost no way to make the winding, climbing-ever-higher drive into Idyllwild without a string of great songs adding a little background soundtrack. The vistas are vast when you start to climb into the upper reaches of the Mount San Jacinto wilderness, and the right album, played as you hum along the asphalt, has a way of stirring the thoughts and the soul. Enhancing this notion even further, however, is the anticipation of going to Idyllwild to enjoy amazing music, the kind of ballads and strums that befit the glorious, high-altitude setting. That glorious spot is definitely enhanced each summer by one of the area's most venerable weekend-long celebrations, one that brims with music and tunes and returning fans, jazz aficionados who live locally and at points around Southern California. It's Jazz in the Pines, and it is back at the Idyllwild Arts Academy on Saturday, Aug. 15 and Sunday, Aug. 16. 22ND ANNUAL: Two decades along, plus two years on top of that, means this jazz party attracts some masters of the fine form. David Garfield & The Afro Cuban Jazz Project open the revelries up on Saturday morning, and several acts roll out on numerous stages, including Evan Christopher's Clarinet Road with Jason Jackson, Graham Dechter Quartet, and Euphoria Brass Band. The tuneage shall flow into the early evening. Sunday summons the sounds of Yves Evans Trio, Jazzgrass, and Mutts of the Planet, among many other artists. IS THAT YOU... over there, by the trees, stretched out on a blanket, with nothing doing on your mind but more great music enjoyment? That's one of the pleasures of an alfresco music weekend in a cooler place, among the firs. There's time for kicking back, time for listening, time for daydreaming, time for remembering past Jazz in the Pines concerts, and time to plot which album you'll listen to as you wend your way back down the mountain, after the whole shebang wraps.